As you make a decision to major in music, you will want to have most, if not all, of the following skills and experiences under your belt by the time you apply to music schools. Check to see how you stack up. If you’re missing any of these or feel like you could use a bit of help in any area, ask a more advanced music student or a music teacher for some help before you start applying. 1. Experience studying with a private teacher –– along with plenty of advance preparation and support for auditions. 2. Experience in school and/or community bands, orchestras, ensembles, choirs or in your own band or performance group. 3. 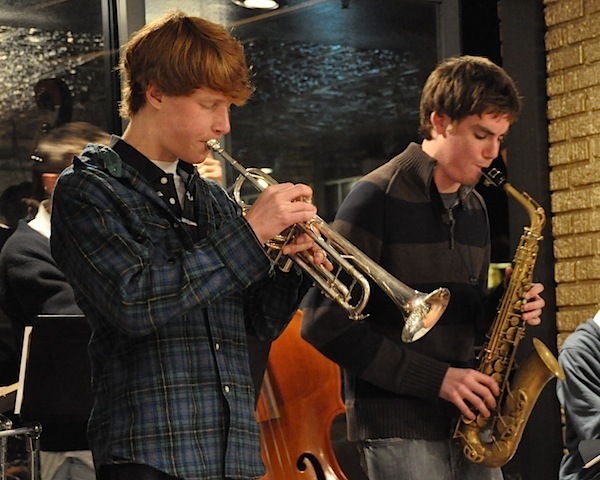 Experience and some degree of comfort in performing solos as well as performing with a larger group. 4. Ability to read music, sight-read and sight-sing. 5. Listening and aural skills. 6. An understanding of basic music theory. 7. Exposure to lots and lots of music, in the genre you like to perform as well as in other genres. 8. Experience participating in after-school music programs and summer music camps and training programs. Note that academic achievement is not included on this list because music schools vary so much in their requirements. Some expect academic excellence and competitiveness and see high SAT and ACT scores as predictors of success as a music major. Others put less emphasis on high school academic achievement and are more interested in finding students with passion, talent, knowledge, and interest in the world at large. I am a freshman in high school and I have been playing piano for only 7 months now, and I just started lessons. I have been in my school’s choir since 5th grade and I have a high GPA at this point. I want to major in music but I’m still a beginner at piano and have no experience in other instruments. Will it be possible for me to become good enough to get accepted into a musical college by the end of high school? The good news is that you still have time to do what’s necessary to be ready to audition for music school when you’re a senior: regular lessons, daily practicing, performing, getting feedback on your performance skills; learning some music theory; listening to lots of live and recorded music of many genres; and really earning what it entails to be a music major. In addition, we highly recommend you take summer music programs to strengthen your proficiency, work with mentors and peers who are passionate about music, improve your aural skills and much more – all without the burden of also being in school at the same time. Check out our Summer Music Camps & Programs section to learn about some of the many options. I want to know how many instruments i would need to know before graduating high school if i want to college for a music programs. I am a junior in high school and I have been playing flute for 7 years. Right now I am having lessons on the violin, piano, guitar, and trumpet. I’m worried i wot have enough experience to be able to go into the music programs. To get in to a music school, you will need to prepare an audition on one primary instrument, i.e., the instrument you’re strongest on – which can be voice. While it’s great to be well-versed in more than one instrument for many careers in music (including teaching K-12 music, music therapy, pit orchestra musician, and cruise ship musician), a limited amount of training and practice on several different instruments will ultimately not prepare you for what you need to do to get into a college music program since you won’t have enough time to practice a lot and perform a lot let alone prepare for your audition – while keeping your academics up and having a life as well. Remember that music schools, like many others, like well-rounded students since experiences in addition to music inform your knowledge and artistry. Are there any lists or additional information about colleges/universities that are aiming for more passionate musicians than the most academically (high school) successful people. I am not quite sure about my future academic success (anything can happen since I haven’t done the SAT or ACT yet) and I’m more comfortable with schools not pressuring me to having all A’s all the time. Thanks before hand! Check each school you’re interested in to see what their academic requirements are. Historically, especially at conservatories, auditions have trumped academics but some schools will use GPAs and test scores as determining factors for admission when candidates’ auditions are equally proficient. Since you may discover additional interest(s) as you continue forward, it’s a good idea to keep your writing and reading skills sharp so you can keep your options open in music and other fields as well. I am highly interested in becoming some sort of music major. I have played the flute for 6 years and the acoustic guitar for 1 and a half years. I have a GPA of 3.2, but I don’t know what college could suit me the best. I was thinking about Greenville College in Illinois, but I am not fully sure yet. I hope that you could give me a few tips and advice to become a successful musician, I am possibly thinking about a music director or teacher. I am a sophomore in high school. Thank you. Victoria, MajoringInMusic.com is designed for students like you who are thinking about majoring in music. There are a ton of articles on the website designed to help you understand what it would mean to be a music major, as well as what careers in music are all about. We recommend that you take time to read as many of the articles as possible, to help you think out your next steps. New articles are being added at least every few weeks, so considering “liking” MajoringInMusic.com on Facebook and follow on Twitter to hear about new articles as they happen. We also highly encourage anyone thinking about majoring in music to seriously consider signing up for summer music programs. Look at our 2015 Summer Music Camps and Programs page – the text part of the page explains why these programs are so important. There are lots of opportunities right on the page; some of them are deadlining quickly especially for financial aid and top priority for acceptance. Best wishes to you as you continue with your music!